Tanzania is reviewing its stance on the East African Community’s Economic Partnership Agreement (EPA) with the European Union, with a view of endorsing the deal, The Citizen reports. Government officials are said to be negotiating with the EU before the lapse of the four months the country was allowed by the EAC to resolve its issues. The EPA is a trade deal between the two blocs, which gives EAC products total access to the EU market, with 82.6 percent of imports from the EU allowed on the EAC market. Negotiations for the EPA were concluded on October 16, 2014 and all EU member-states and the EU itself signed it. The deadline for the signing by EAC countries had originally been set for October 1, 2016. Only Kenya and Rwanda have signed the deal. Tanzania has been unhappy about the trade pact, arguing that the agreement will have serious consequences on its revenues and the growth of its industries. 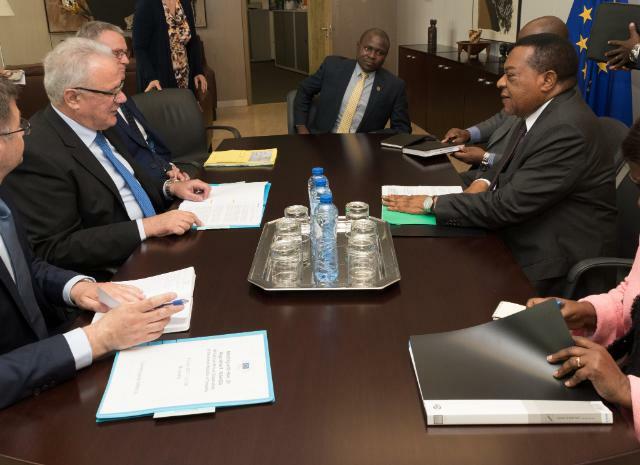 On Wednesday, Foreign Affairs and East African Cooperation minister Augustine Mahiga, in a telephone interview with The Citizen, said Tanzania is in talks with EU to resolve some technicalities and will only sign the agreement after all its issues have been ironed out. “It is still too early to disclose the technicalities which we are yet to agree upon,” he said, adding that once an agreement has been reached, the deal will be tabled in Parliament for approval. The move to heighten the level of engagement between Tanzania and the EU on the trade pact follows a meeting at State House Dar es Salaam between President John Magufuli and the acting EU head of mission Mr Charles Stuart on February 7. According to sources, the government is said to have relaxed its stance on EPA as it tries to mend relations with the EU. In early November last year, the Dutch diplomat and EU envoy Roeland van de Geer was forced out of the country, which saw the EU declare that it will conduct a comprehensive review of its policies towards Tanzania. At the EAC summit in Arusha on February 1, Kenya, with the biggest stake in the EPA, lobbied the partner states to enforce the trade pact on an individual basis rather than as a bloc to allow those that have not signed to sort out their issues. However, experts warn that signing the agreement as individual countries would weaken the region’s rules of origin and give rise to partner states operating on different trading regimes, a situation that is likely to compromise efforts towards regional integration. Uganda argues that signing the pact as individual countries would compromise the unity of the region, hence its decision to wait it out. Burundi, which was sanctioned by the EU after political unrest when President Pierre Nkurunziza ran for a controversial third term in 2015, has also maintained that it will not agree to sign the trade deal, given its deteriorating relations with Europe. An official of the EAC Secretariat said Wednesday that Tanzania was yet to express its review stance to the bloc.